Nicaragua offers incredible fishing, The Pacific offers tuna, dorado, red snapper, jack trevalle, mackerel, mahi, roosterfish, and sailfish. The best fishing is between March – September. There are a variety of options – deep sea fishing or a near shore spear fishing mission. Nicaragua offers incredible fishing, The Pacific offers tuna, dorado, red snapper, jack trevalle, mackerel, mahi, roosterfish, and sailfish. The best fishing is between March – September. 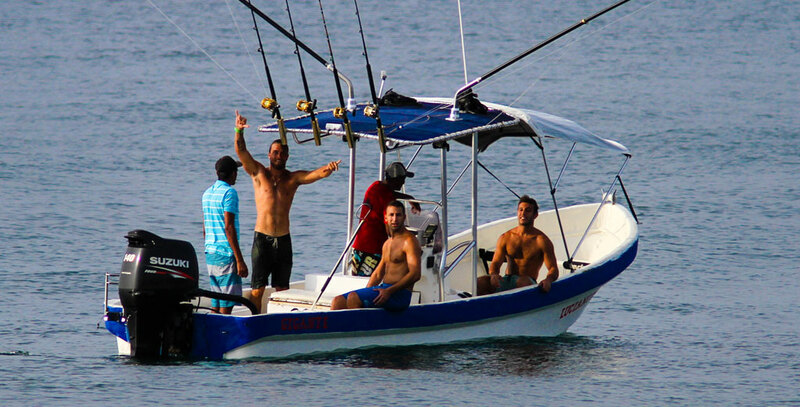 There are a variety of options – deep sea fishing or a near shore spear fishing mission. Our guides will help you plan and facilitate your fishing adventure. There is no need to bring any of your own equipment, grab a case of beer, a few friends, and head out to the open ocean for the day!